Hyeonseo Lee was just seventeen when she fled North Korea. She found herself in China, alone and with no identity. Her mother’s first words over the telephone to her lost daughter were “Don’t come back”. 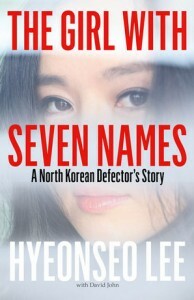 In her memoir The Girl with Seven Names, Lee recounts her life inside the secretive and brutal communist regime: the ‘self-criticism’ classes in primary school; forcibly joining the Youth Corps aged nine; and witnessing public executions of people who had not mourned enough for the death of Kim Il-Sung. She describes her escape and brave efforts to persuade her mother and brother to join her. 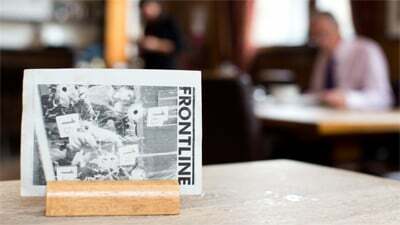 We are pleased to welcome Hyeonseo Lee to the Frontline Club to share her insight into growing up North Korea, the story of her escape and how she went on to rebuild her life and discover her identity. She will be talking to Paul French, an author and a widely published analyst and commentator on Asia, Asian politics and current affairs. He is author of North Korea: State of Paranoia and the international bestseller Midnight in Peking. Hyeonseo Lee lived in North Korea until her escape in 1997. She arrived in Seoul in 2008, where she currently lives, and has recently graduated from Hankuk University of Foreign Studies. As a student, she was a Young Leader at the Center for Strategic and International Studies, a journalist at the Ministry for Unification and a selected member of the ‘English for the Future’ programme at the British Embassy in Seoul. 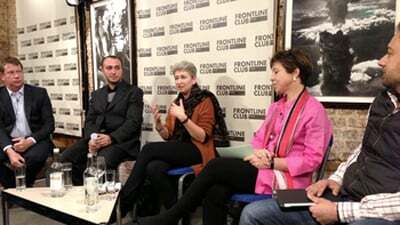 She is an international campaigner for North Korean human rights and refugee issues and speaks on the subject all over the world, including at the UN and the Oslo Freedom Forum.